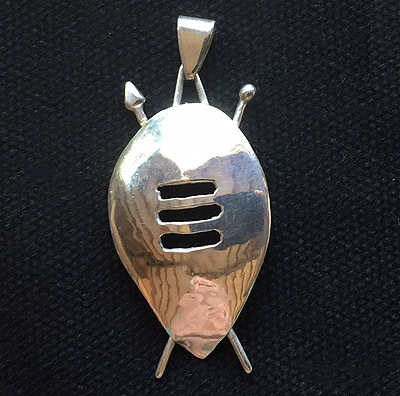 A lovely perfect miniature African warrior/dancer shield in sterling 935 silver with a soft velvet like finish. 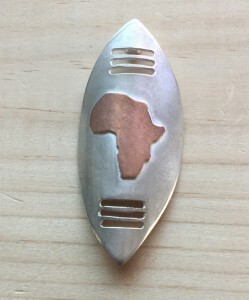 Typical ceremonial display configuration with distinctive copper overlay Africa shaped. 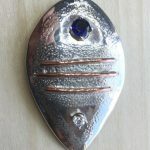 Total size is approx 2″ x 1.” (5 x 2.5 cm). Looks good on silver chain or leather cord (not included). 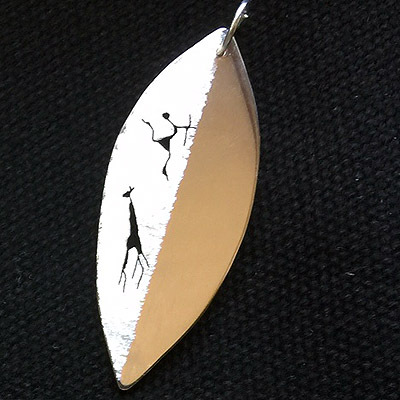 One of a kind design that is a unique original. All items are handmade but will approximate photo here. 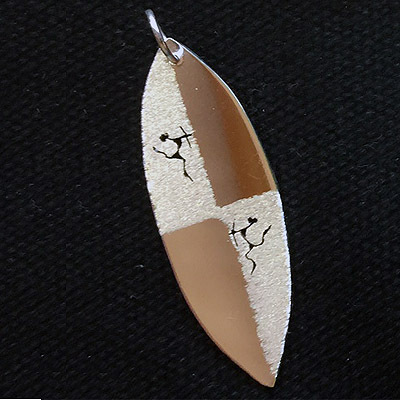 Each pendant is made from Argentium 935 sterling silver featuring here a very traditional design style with a copper overlay Africa shaped decoration. The bale is behind so chain or cord will also pass behind.